Chocolate as souvenirs for tourists, chocolate is undoubtedly the first choice, since it is suitable for all age groups. 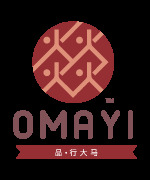 Moreover, it is a type of sweet confectionery that evokes a sweet, good feeling.Our range of chocolate is made with good quality cocoa based on conventional production method to bring out the purest chocolate taste and flavor, giving the exquisite experience of ‘melting in the mouth to sweeten the heart’.Out of our full range of products, OMAYI is especially proud of our own chocolate series, because we have proven that Malaysia can also produce chocolate of equivalent standard to those of Europe and the United States--a souvenir that carries pure Malaysian value as another fine option for tourists. It is a well-known fact that chocolate evokes a good mood and happy moments. Apart from that, pregnant women who consume a moderate amount of chocolate throughout pregnancy tend to give birth to bubblier, more cheerful babiesIt is a good choice to give healthy chocolate as a souvenir to friends and relatives. Let them feel the joy of traveling through chocolate, and wish them all a healthier and more enjoyable life.